Janata Bank Exam Question 2017 Executive Officer (EO). Janata Bank Executive officer exam 2017 was held today. You will get full exam question here. There are total of 100 MCQ questions in this exam. This exam was held in two shift morning and afternoon exam. You will get both set questions in our site. MCQ question solution of Janata Bank Executive officer also be given after we get the full exam question solve. The exam questions are in image format. You can download the questions from our site. Janata Bank Limited is one of the Largest Government Bank of Bangladesh. Janata Bank exam selection process is three steps such as MCQ Exam, Written Exam, and Viva-voice. So questions of Janata Bank Senior Officer, Officer, Officer (Cash) MCQ Exam very helpful of Janata Bank exam applicant. Let’s take a look at Janata Bank recruit exam 2017 full question. we will try to publish all Janata Bank previous year questions step by step. 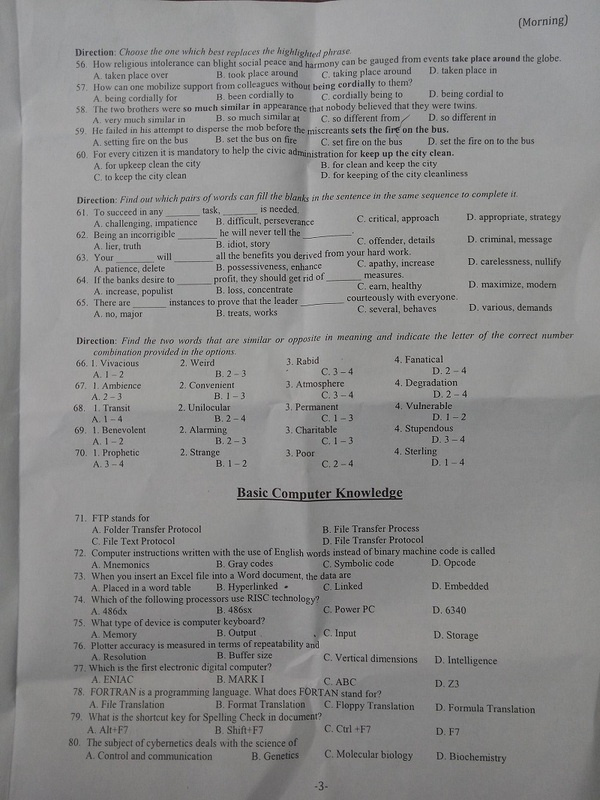 You can also take a look at Sonali Bank officer exam question solve. Janata Bank Question Solution 2017. Janata Bank Exam MCQ Question Step by Step Solution Will Find Below. 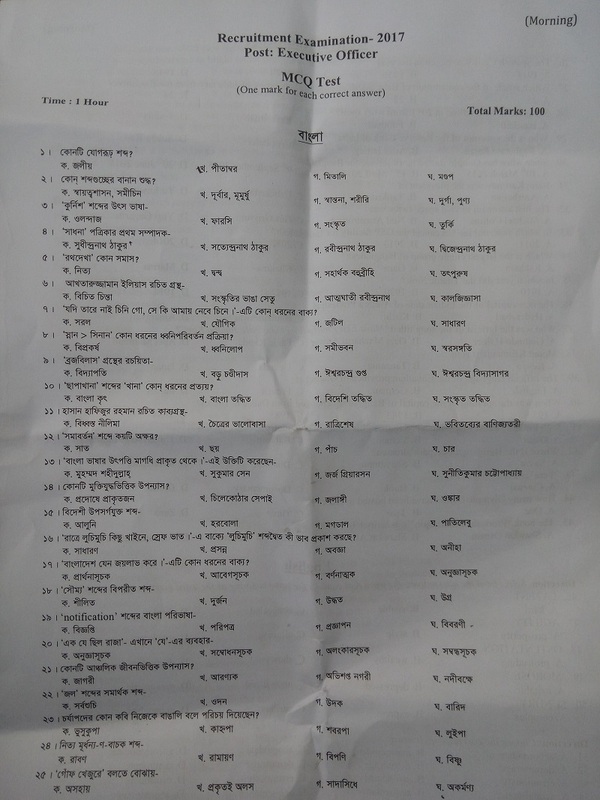 Here We Will Provide Janata Bank English Part Question, General Knowledge Part Question, Mathematics Question, Bangla Part Question solve and others part. The Bankers Selection Committee already taken a decision that next year Janata Bank will be recruiting total 2230 candidates recruit. Janata Bank present faces are recruiting total two thousand two hundred thirty (2230) candidates (Executive Officer (EO) – 834, Assist. Executive Officer (AEO)–464, Assist. Executive Officer-Teller (AEO-Teller) -536 and Assistant Executive officer Rural Credit (AEO-RC)–395 will be in different branches of Janata Bank.